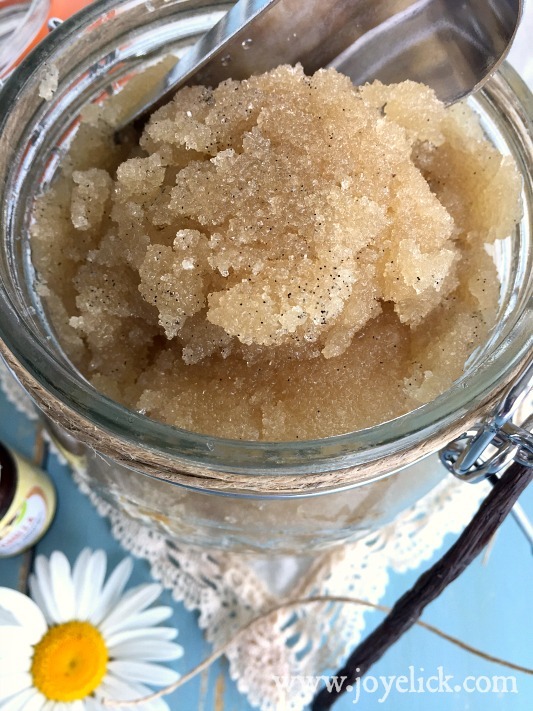 Homemade sugar scrubs are a frugal farm girl's best friend when it comes to exfoliating and revitalizing skin for a more youthful glow. 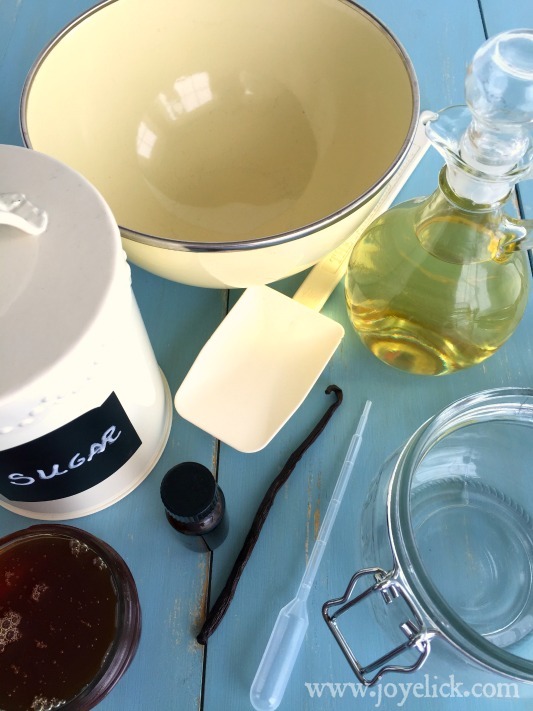 Whether you're making sugar scrubs for yourself, or as gifts to give away, the fact is they're just plain fun to make! 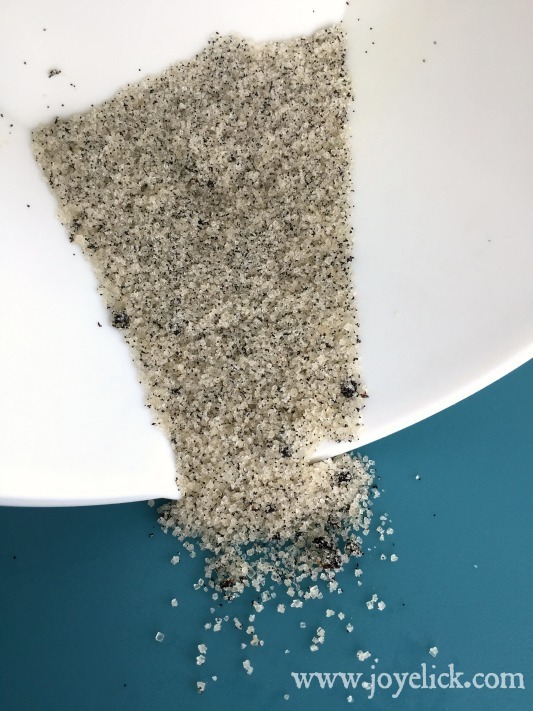 (But be fairly warned: You should eat something before making this yummy smelling scrub, because if you don't, you'll be tempted to gobble this up)! Sugar may be falling out of fashion when it comes to what you put inside your body, but when applied to the outside, sugar can go a long way toward hydrating and softening dry tired skin. As I've gotten more mature, I've noticed my skin craves the exfoliating action that a sugar scrub offers. Sugar scrubs are a fabulous way to make your skin look more youthful naturally. Sugar is such an effective, yet gentle way to rub off old skin and expose the fresh softer skin beneath. Once old skin cells have been removed, the sugar, honey and oil in this recipe act like a polish on new skin, leaving it moisturized, soft and silky smooth. 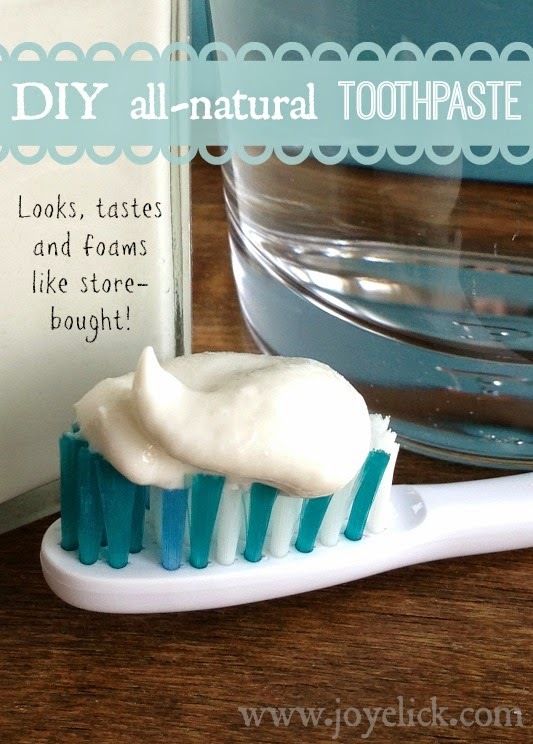 Whether you're new to making homemade bath and body care products, or you're an old pro, I think you'll enjoy making this fun, easy skincare item. 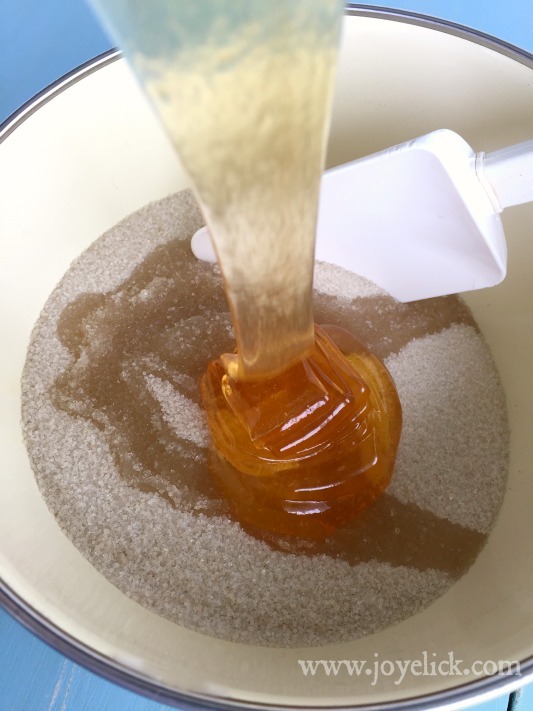 Are you ready to see just how easy making a sugar scrub can be? 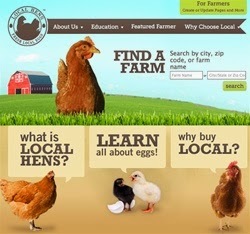 Then grab an apron and let's get started! Step 1: Prepare the vanilla bean. Slice open the vanilla bean length-wise and spread it open. Using a spoon, carefully scrape out the vanilla seeds from inside the pod. It will look like a grainy paste. In a small dish, place a bit of sugar and the contents from the vanilla bean pod. Work both together with the back of the spoon until completely combined. Step 2: Make the sugar scrub. Place the vanilla and sugar mixture in a large bowl. Add the rest of the called for sugar and mix, so the vanilla mixture is worked throughout the rest of the sugar. Add the oil, honey and vanilla essential oil. Stir together until thoroughly combined. Step 3: Enjoy using your sugar scrub. To use, I recommend applying at the end of a shower. I say this for a couple reasons. One, you don't have to worry about any mess, as any sugar scrub that falls can be rinsed down the drain when you turn the water back on. Also, this scrub works best applied to wet skin. The moisture helps the scrub spread nicely. I love the way this scrub makes my legs feel after I've shaved! To apply: Turn off the shower and massage the scrub over wet skin with circular motions. Spread over entire body, but avoid the face (there's a different scrub appropriate for face and lips, which will be the subject of a future post). Rub gently (you want to exfoliate your skin, not remove it altogether :-) When done, turn the water back on and rinse off. Don't use soap or shower gel. You want to let the oils and moisturizing action of the scrub remain on your skin, as well as the yummy scents. After your shower, pat your skin dry. It should feel rejuvenated, hydrated and silky smooth! Store the sugar scrub in an 17.5-ounce jar with an air-tight lid. It can be stored at room temperature, but should be used within 3 months. 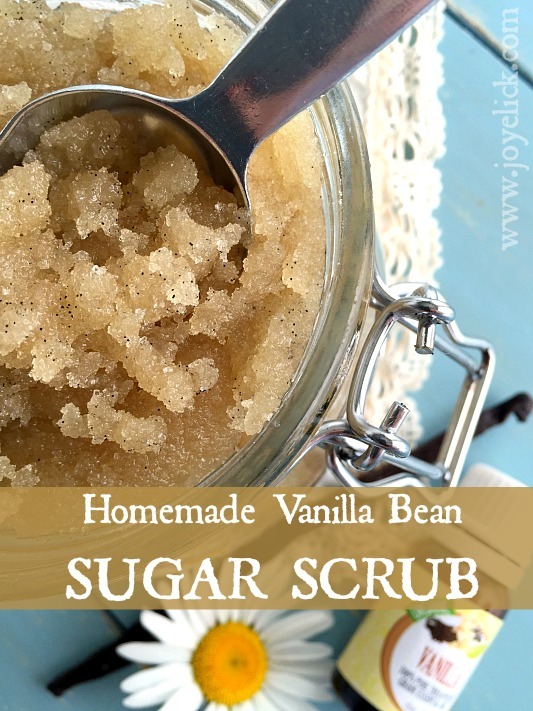 I love a good sugar scrub! Thanks for this recipe. While the balloon expander grows, so will the bulge under the skin,Thermage Face Lift Costa Rica leaving undesirable affects for one going through scalp reconstruction but maybe desirable for those undergoing breast reconstruction.